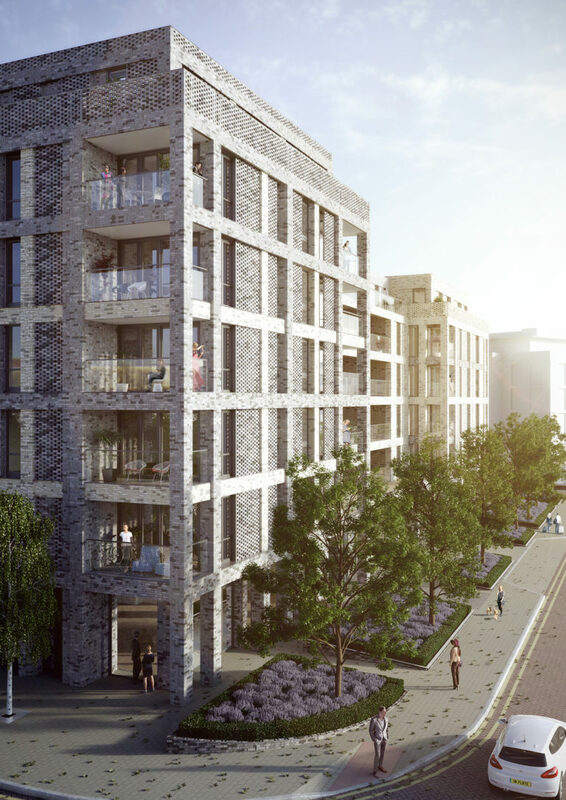 As part of the rapidly changing Canada Water masterplan, Quebec Way brings an array of new homes to Southwark, including family-sized duplex apartments at ground floor and apartments with impressive views across to Canary Wharf on the upper floors. The design, distinguished by its complex and meticulously detailed brickwork, was the result of careful planning negotiation and collaboration across all stakeholders. In recent years, ‘design thinking’ has become a buzzword – a way of approaching a problem that is focused on synthesising solutions. 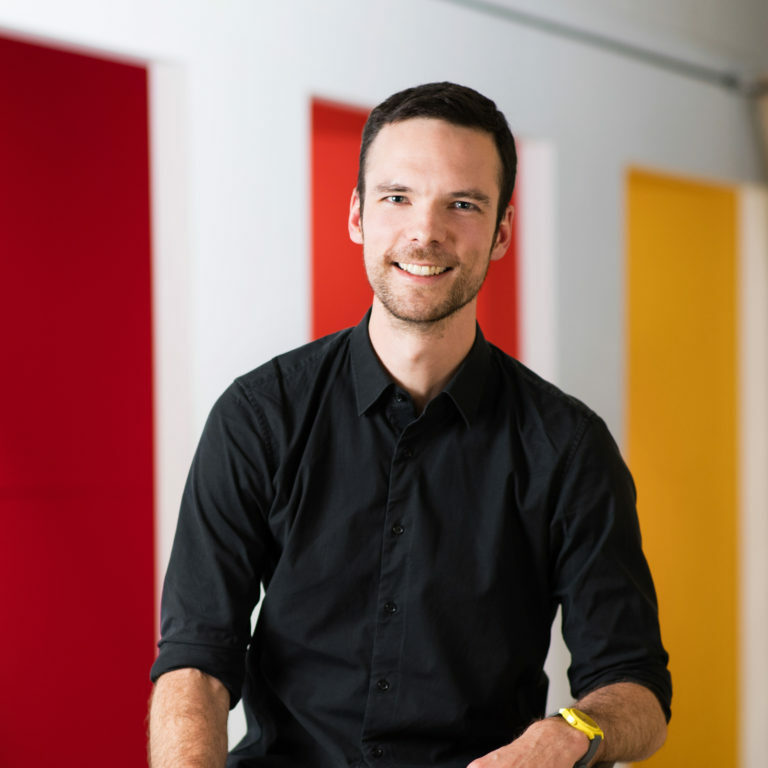 ‘Design negotiation’ is the iterative process of design thinking, testing solutions and, through discussion with interested parties, arriving at the optimum result. This process is inherent in the way architects approach a brief or site, and is exemplified at Quebec Way. 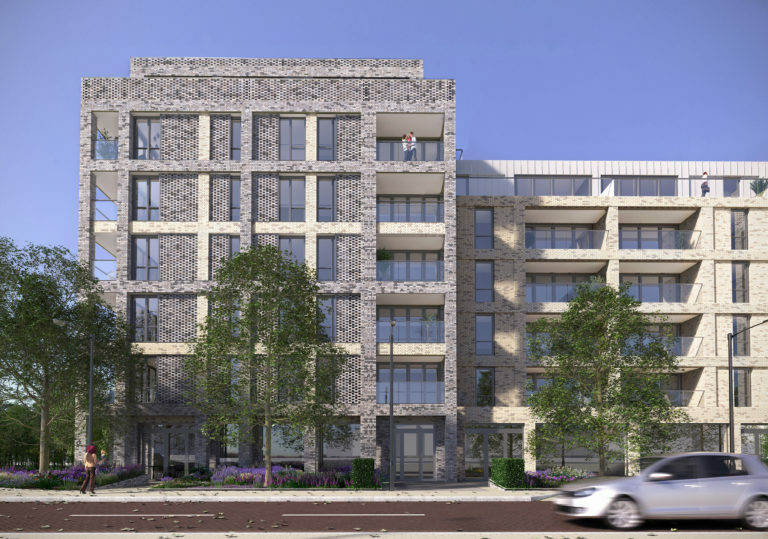 While clients London Square wanted to maximise the site’s development, the Area Action Plan (AAP) had a designation for only 50 homes, and a previous scheme of 88 homes, designed by another architect, had been thoroughly rejected by planning officers. The project therefore required a delicate approach of ‘negotiation through design’. 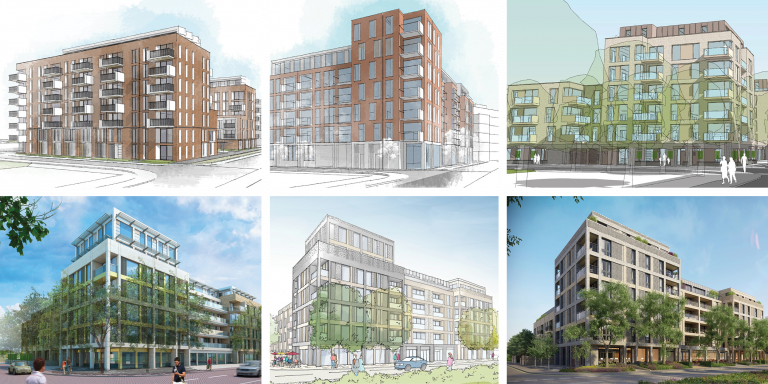 Following a comprehensive 18-month process, including back-and-forth consultation with Southwark planning officers, the design has satisfied all stakeholders to bring a characterful building to this area of regeneration. 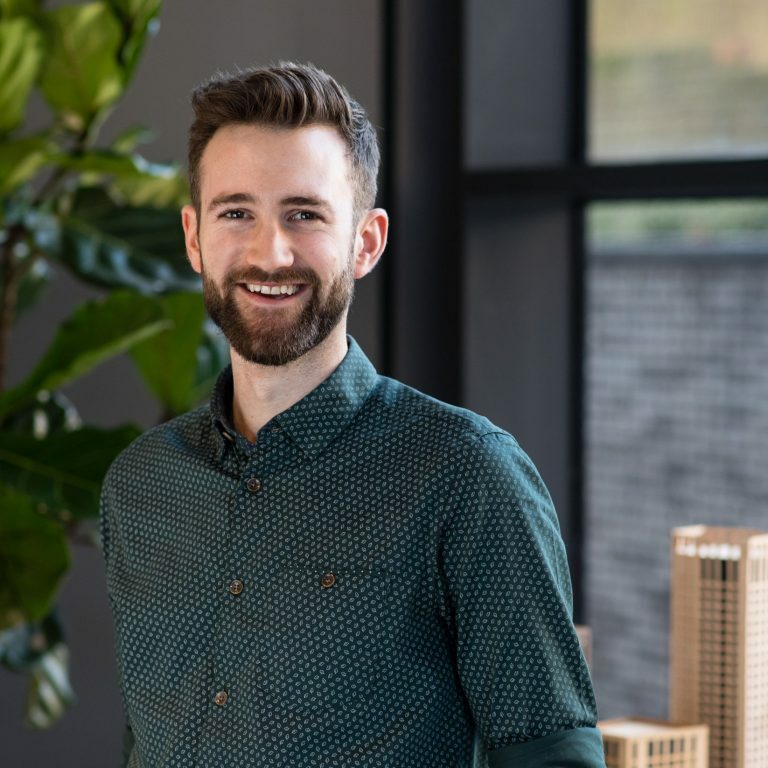 The architecture features a layered grid of hit-and-miss brickwork with two brick blends, a grey and a buff, with one brick type common to both blends to create a link between the two. The complexion of these bricks was an important consideration in their selection; to emphasise the physicality and imperfect nature of brick as a material, and to create feature panels across the façade. 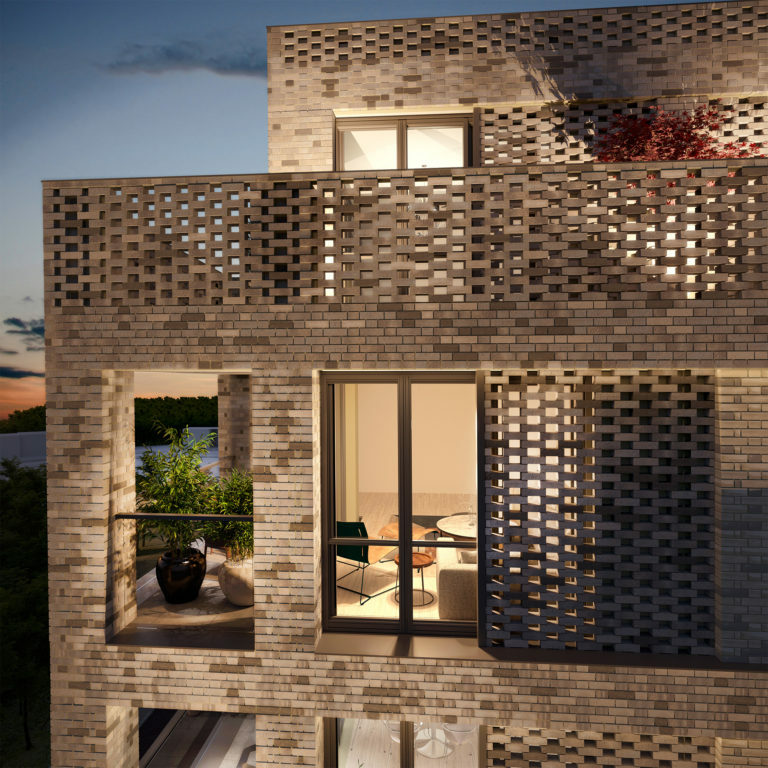 Other hit-and-miss panels take the form of an open grid; some are located behind full height windows, offering ventilation, tactility and a dappled shadow effect inside the apartments. This articulated design was important in mediating the transition between the four-storey building and the seven-storey building, and securing the backing of planning officers when the AAP called for a maximum height of five storeys. 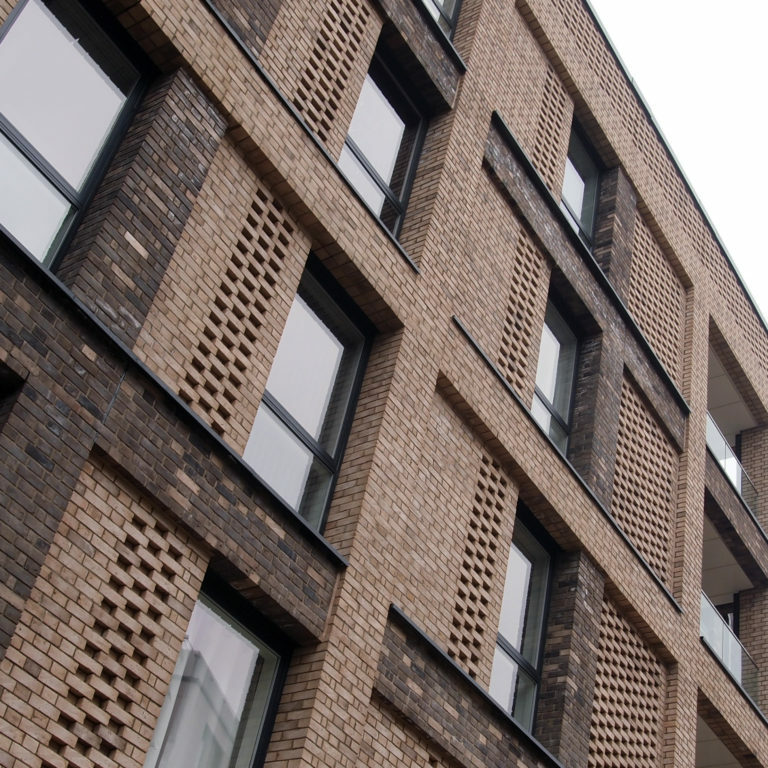 This brickwork was realised in close collaboration with the engineer, the brick support manufacturer, and London Square’s technical and construction teams working with the brickwork subcontractor. With no structural design codes for hit-and-miss brickwork, the team had to empirically prove the safety of the panels through the creation and testing of a one-to-one prototype. The design also focuses on ecology and provides substantial improvements to the public realm. The two bordering streets have been upgraded, retaining a number of protected Maple trees, and – inspired by the nearby Stave Hill Ecology Park – the development also includes bird and bat boxes, insect hotels and even a stag beetle loggery.